5 Ways on How to Increase Your Metabolism Naturally – Six Pack Abs Guide! Have you ever tried to increase your metabolism naturally or lose weight without taking any dietary supplements? If you answered yes, then you’re on the right track. The secret to boosting your metabolism is to have regular exercise and eat fiber enriched foods. Your body must engage in physical activities like walking, exercising, or any movement as long as your body works. This is for your body to burn calories. Metabolism is the mechanism that converts what you eat and drink into energy that is processed by the body, and that is required in carrying out these functions. Every individual has a different metabolism depending on how efficiently your body burns calories for fuel. Speeding up metabolism doesn’t require taking any dietary supplements or pills at all. A pill for speeding up metabolism contains high doses of caffeine and animal thyroid. You should not take these products as these may have side effects, such as increase in heart rate, excessive sweating, nervousness, and diarrhea. 1. To increase metabolism is to give your body a constant steam of fuel to burn. Eating small amount of meals five to six times a day can keep metabolism higher throughout the day. Eating small meals will lessen your tendency to eat unhealthy snacks that will only impede your weight loss. 2. Foods rich in fiber, such as green leafy vegetables, oaths, corn, apple, watermelon and the like will also help to increase your metabolism. The best foods to work you’re your metabolism are milk, green tea, beets, and spinach. You may include protein and complex carbohydrates to keep your daily meals healthy. 3. 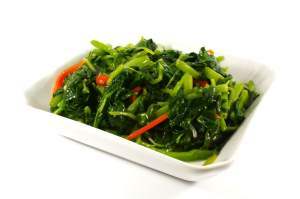 Vegetables eaten raw are one of the most effective natural metabolism boosters. Here are some choices of vegetables that you can add to your diet: carrots, celery, broccoli, tomato, peppers, and cabbage. 4. Drink 8-10 glasses of water each day. This will help your stomach to easily digest the food you eat. You should avoid drinking alcohol and fasting. Instead, eat foods with high nutritional value. 5. Try to stretch your body in the morning; this will help you energize your body throughout the day. In the office, instead of using the elevator, try to use the stairs. Take a walk in the hall ways or walk around your desk. Find every opportunity to move by engaging in activities like dancing, yoga, lawn tennis, badminton, and volleyball. These activities will not only increase your metabolism but will also lower your stress, and make you feel totally relaxed and calm. Getting enough sleep, doing regular exercise, and eating the right foods with high nutritional value at the right amount are the key factors that will help you increase your metabolism naturally. “Be physically active” – not later, but now! How have you increased your own metabolism? Include your own tips below.